I recently reviewed an older study of brain damaged individual's comprehension of final-panel jokes in comic strips. Here's another paper that explores brain damage and the ordering of panels in sequences. Participants were asked to arrange scrambled parts of a story into their accurate order, and the authors compared the abilities of numerous types of brain damaged patients. Participants reconstructed both six-panel comic strips as well as verbally translated versions of those strips (in two forms: descriptions with complex grammar and those with simple grammar). Individuals with global damage to their left hemisphere and Wernicke’s aphasics (also a damage to the left hemisphere) did the poorest on reconstruction of both types. Patients with right hemisphere damage did poorly in reconstructing comic strips, but not verbal stories. Broca’s aphasics (who have damage to the frontal left hemisphere) showed the opposite trend: poor reconstruction of verbal stories but decent performance on comic strips. 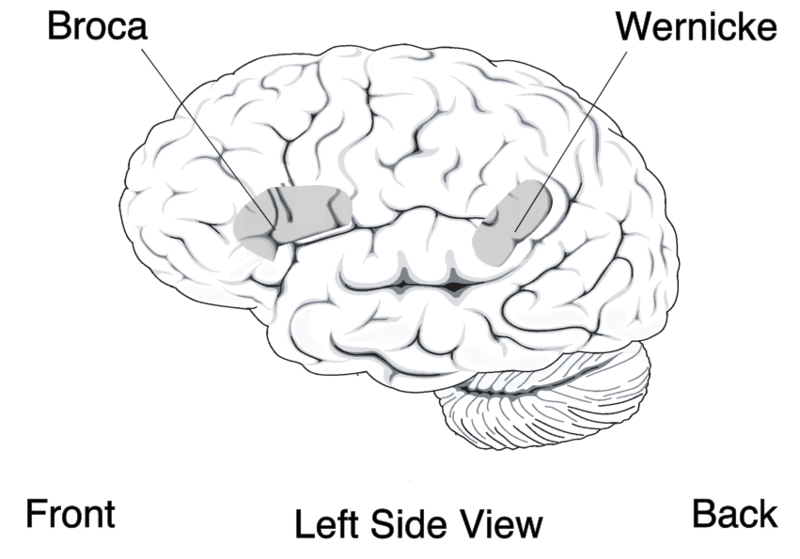 Broca's aphasics are largely recognized as having deficits with issues of hierarchic ordering, particularly grammar in language. So, when they speak, they may be able to create meanings, but they struggle to produce combinations of words in sentences. Wenicke's aphasics are known for the opposite: their grammar may be intact, but they have problems with meaning. This means they can speak in full sentences, but those sentences will make no sense. These findings imply that both hemispheres are involved in the comprehension of verbal and visual narratives, but do so in differing ways. The right hemisphere appears to guide picture reconstruction more than the verbal comprehension, which appears more effected by left hemisphere damage. However, one flaw in the study is that it is a little unclear on just what traits the participants are manipulating. In other words, what aspect of comprehension is being affected by their brain damage: Narrative? Semantics/Meaning? These are not the same thing, and it's hard to tell with the task what is being targeted. It is also hard to tell which of these is being damaged by the brain damage — perhaps in some cases the brain damage affects narrative, but in others semantics. Thus, while it is nice to have dissociable findings and clues to comprehension, the design and theory underlying the experiment make any solid conclusions hard to discern.